The second day of the PROTOtyping 2010 Symposium began slowly, very slowly with participants straggling in on their own time. Perhaps the cocktails at the DCA the night before and the jet lag of some had slowed down the whole audience to a crawl. Dr Glenn Adamson from the Victoria & Albert Museum London presented an opening address for the day that woke the audience up immediately. His talk on Corporate Craft: The Artisans of Detroit began with unforgettable video from the days when American classic cars were designed. It struck a chord with the industrial designers in the crowd as they harkened back to their roots with the screen filled with molds and models. The rest of the morning was a blur of slides and speakers except for Dr. Stuart Brown’s stellar presentation on Prototyping for High Value, Time Poor Users. His innovative and pragmatic approach made me very proud indeed of University of Dundee’s own Institute for Medical Science andTechnology. He illustrated an array of common sense tactics for negotiating the multifaceted environment of designing instruments for surgery. Prototypes. 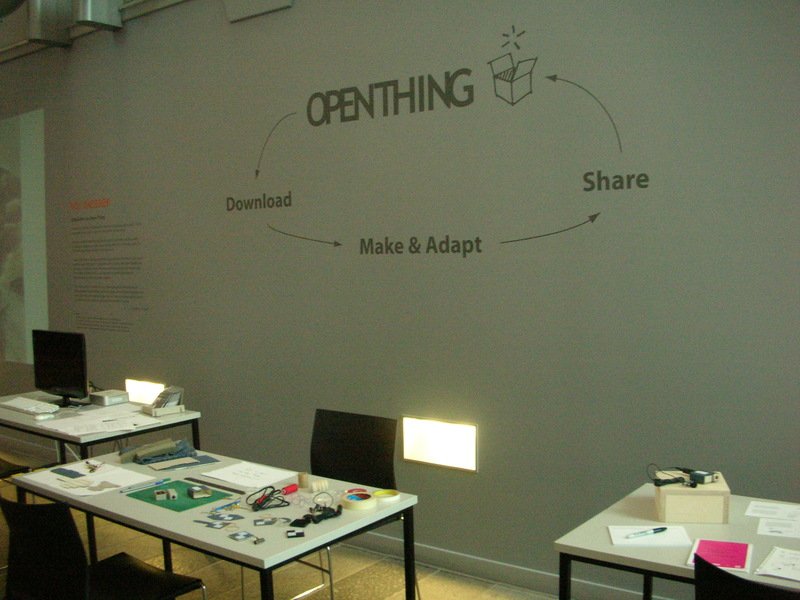 After that the afternoon flew by and the PROTOtyping 2010 Symposium was over as fast as it had started. I learned a lot and met some great people. It was a worthwhile experience. The Prototype – Craft in the Future Tense Symposium begins tomorrow. A few of my fellow ethnography students and many of the masters of design students are attending. We are here to listen to 16 world class thinkers and makers give us their take on prototyping. We are learning how to position the meaning of prototype in our own minds. This evening was the opening evening of the symposium, the Innovation & Creative Development in Craft. The exhibit was a showcase of five crafters and the idea behind what they do, but it was up to you to interpret the true meaning and purpose of the objects presented. Follow your perogative to go wandering amongst the work and drink in its meanings. The Dalhousie Building on Dundee University’s campus had been transformed into an exhibition gallery and staging area for the Prototypers. 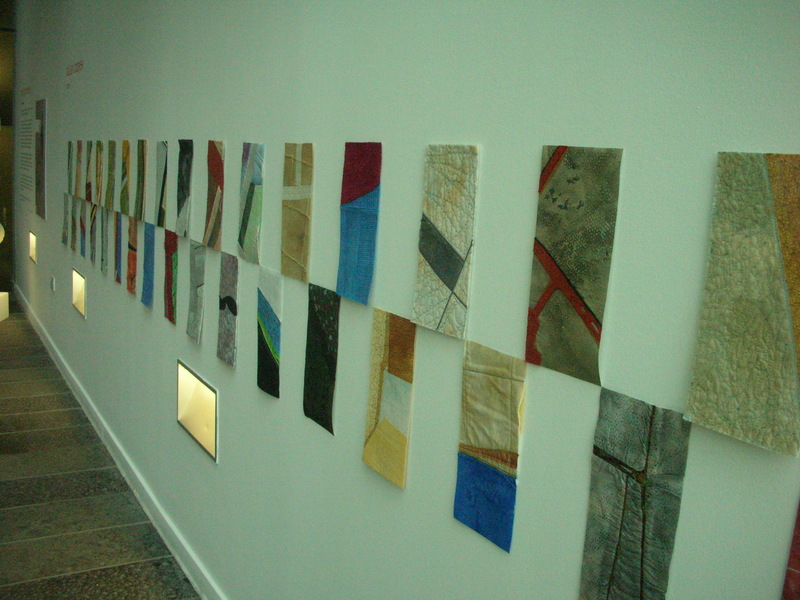 The curator of the exhibition, Sally Reaper, had used the space effectively and the pieces were arranged in an intriguing and inviting way.The exhibit was marvelously laid out in the difficult to understand foyer of the Dalhousie Building. If you never have the pleasure of being faced with its white labyrinthine halls and strange alien language used for room numbering (“Class has been changed to room 2.14.s.f.1” ) then consider yourself saved of its design mishaps. The exhibit was simple on first glance, but I am sometimes mistaken on first glance. In fact the works were intricate representations of highly developed design research processes. Below are my photographic first impressions of the exhibit. These are really the product of their extensive creatives processes, and therefore I cannot really capture the whole story of each piece. If you want the whole story you will have to go see the exhibit which you can view in the Dalhousie Building on the University of Dundee Campus until the 27th of June. Jeanette Sendler's Collarbone presented us with a series of "bones" which were loosely stuffed with the dress making patterns of olden times. 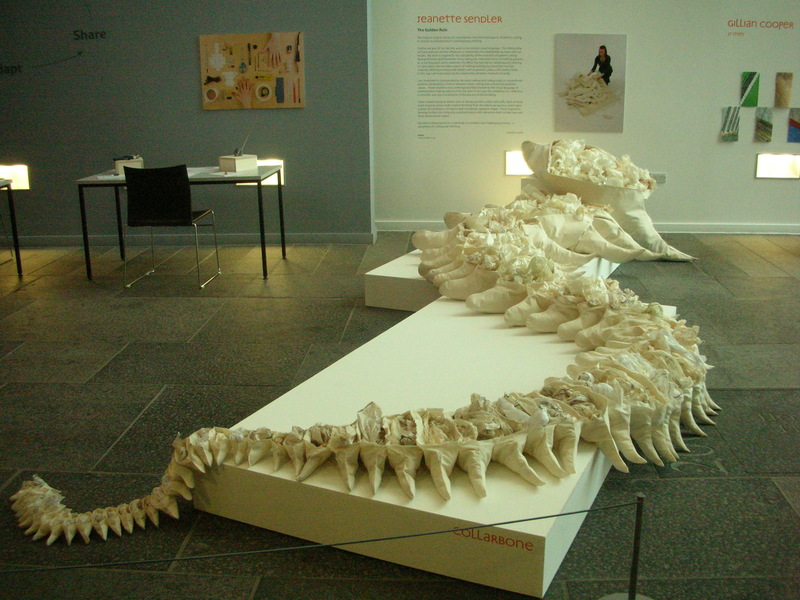 It was a magnetic piece that greeted the attendees with its long white spine as the came into the exhibition. Gillian Cooper took textile arts to a whole new level, by photographing the ground at her feet every 37th step, and then transforming the patterns and forms she saw in the photos into beautifully rich textured embroidered wall panels. 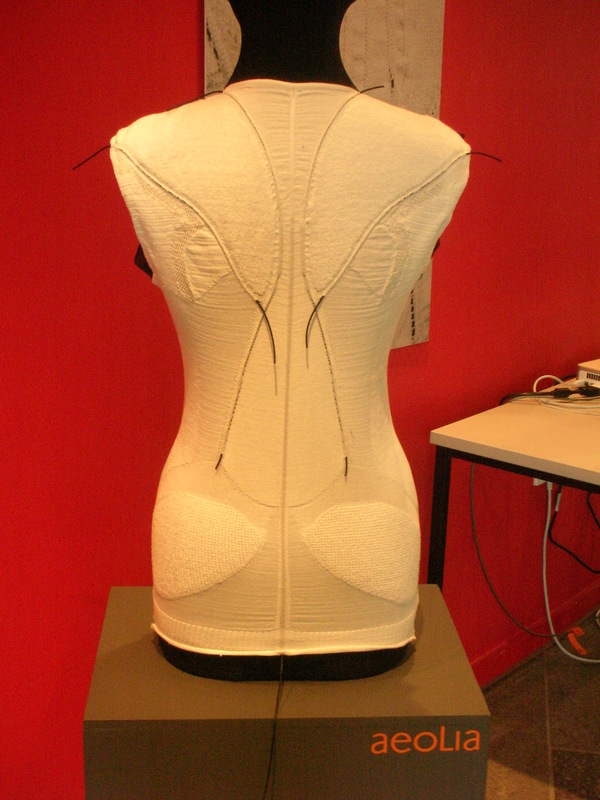 Aeolia by Sarah Kettley presented us with a garment with woven in stretch sensors that could be used for whatever you imagine. It was a very interesting idea, but I had a had time to conceptualize what this could actually be used for in practice. Lisa Gallacher created a new way to adorn the body with this rack of fashions printed from huge colorful print proofs, complete with contoured pockets and curvy seams. Roy Shearer showed us what an “open thing” actually is. He had created a set of open source plans and software for how to put together a “Niftymitter.” It is a transmitting device that could send voice signals form one source to any FM source in a certain radius. It was a nice idea and very cool, but I felt it had been done before. In fact my boyfriend Aaron reminded me that, ” the Simpson’s had done it all before,” he was referring to the episode where Bart had a Microphone that could tune into an FM station.